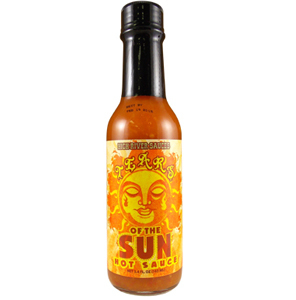 The chipotle pepper, a smoke-dried jalapeno, is the focus of our fiery new sauce. Stewed in a spicy tomato adobo sauce, the peppers have an intense, smoky, slightly sweet flavor that is enhanced by a hint of citrus. Es muy macho - no crybabies, por favor! We use this to dip pizza in. Best hot sauce ever! I use this sauce on almost everything, depending on my mood. From Eggs to Meats, or Veggies of any type, this sauce really kicks the flavor up a few notches. It's fantastic! Love this one. Fantastic on pizza! Not as spicy as others, but a well rounded, full bodied taste. My daughter-in-law introduced me to Adobo many years ago as a seasoning spice for meats. The hot sauce in this hot sauce gives it a very interesting and delicious flavor. Very different from all of the other sauces I've tried. Will be ordering this one again soon. This has good flavor overall but is way too sweet for my taste. We LOVE this sauce on tacos and tostadas - sometimes by itself and sometimes as an addition to our salsa. But, add this Chipotle Adobe to mayonaise and your sandwiches will be way "mo betta". by far the best "hot sauce" i've ever had. This is thick, sweeter, flavorful sauce that can go on anything. More taste than heat. Smokey, meaty flavor that I add to many things (sandwich spread, meats, mix in salad dressings, meatballs, etc.) A MUST TRY. I LOVE the smokey hot flavor. It is great on meats, mexican dishes and more. This some really tasty sauce. not terribly hot, but very flavorful . I found that by slathering up some ribeves when you are letting them come up to room temp. will turn a $7.00 steak into $40.00 steak . way better than some fancy steakhouse.Just remember, grill them hot & fast . you will be pleased . Extemely tasty sauce. Just a little heat for good measure. One of my new regulars. Very good flavor and just the right amount of heat. My girls even like this sauce (wow)! Ingredients: Orange Juice, Chipotles in Adobo, Cider Vinegar, Tomato Paste, Onion, Garlic, Spices, and Salt.